Is it a blend? A single malt? 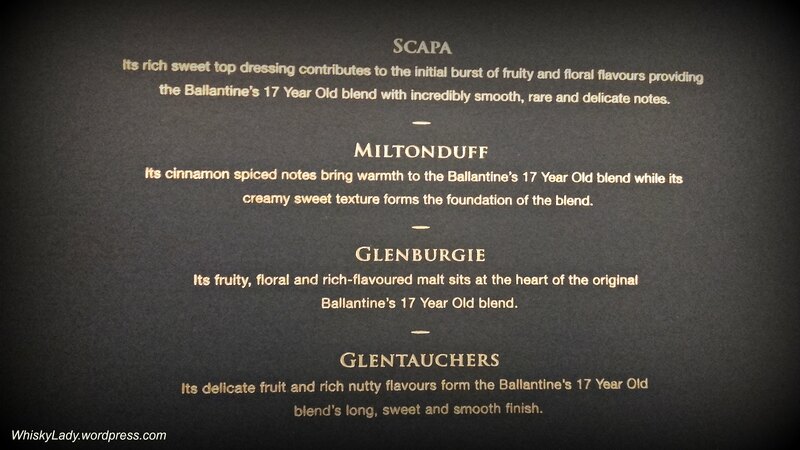 Clearly Ballantine’s Signature Distillery Collection are blends… yet are they the slippery slope of introducing loyal blend fans to single malts? Or trying to woo promiscuous single malt explorers to the land of blends by enticing with ‘showcasing’ Ballantine’s ‘iconic malts’? My curiosity got the better of me…. so picked up this sample pack in Singapore and cracked it open a cool December evening with a merry malt mistress! Its rich sweet top dressing contributes to the initial burst of fruity and floral flavours providing the Ballantine’s 17 year Old blend with incredibly smooth, rare and delicate notes. Its cinnamon spiced notes bring warmth to the Ballantine’s 17 year old blend while its creamy sweet texture forms the foundation of the blend. 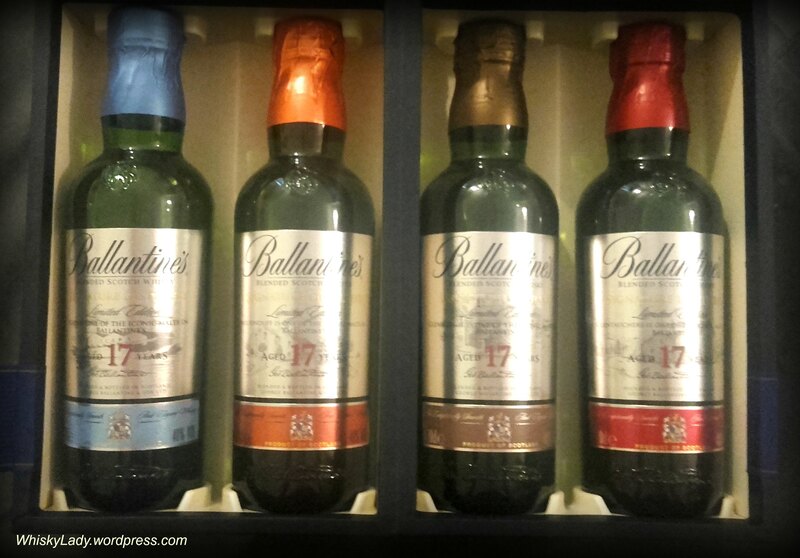 Its fruity, floral and rich-flavoured malt sits at the heart of the original Ballantine’s 17 year old blend. 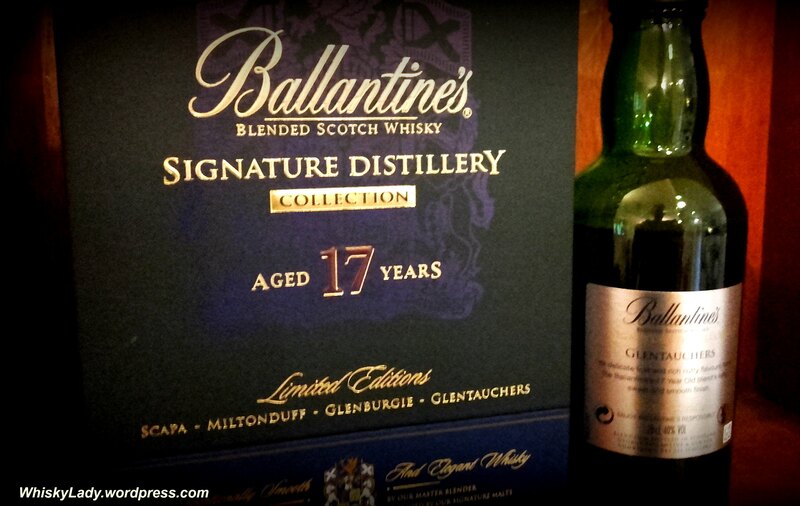 Its delicate fruit and rich nutty flavours form the Ballantine’s 17 year old blend’s long sweet and smooth finish.